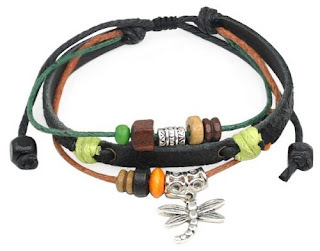 Adjustable Leather Bracelet w/ Dragonfly Charm & Beads Only $3.29 Shipped! Head over to Amazon to score this pretty Adjustable Leather Bracelet w/ Dragonfly Charm and Beads for only $3.29! Even better, it ships for FREE!